Fig. 1. Block diagram of the PV system connected to the grid. Fig. 2. 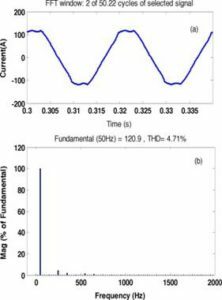 PV module characteristics (a) Current-voltage characteristics (b) power-voltage characteristics. Fig. 3. 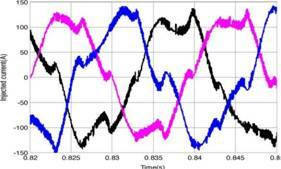 Behavior of PV array under normal condition using IPSO. Fig. 4. 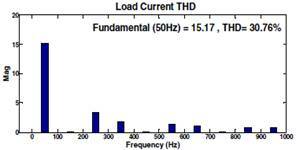 DC-link voltage under normal condition using IPSO. Fig. 5. 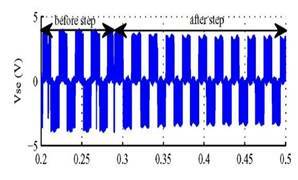 Behavior of PV array under normal condition using IC. Fig. 6. 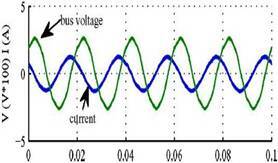 DC-link voltage under normal condition using IC. Fig. 7. 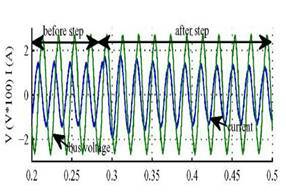 Behavior of grid connected inverter system under normal operation. Fig. 8. 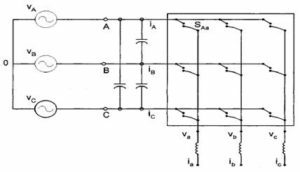 The grid voltage fault. Fig. 9. 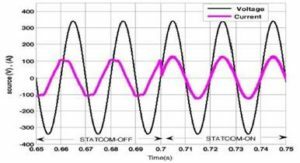 Behavior of PV array under fault condition. Fig. 10. DC-link voltage under fault condition. Fig. 11. 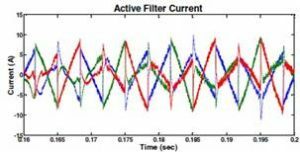 Behavior of grid connected inverter system under fault condition. Fig. 12. 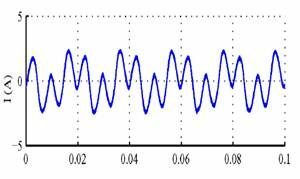 Behavior of PV array with LVRT capability. Fig. 13. 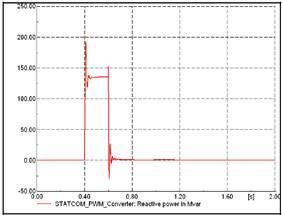 DC-link voltage during a grid fault with LVRT capability. Fig. 14. 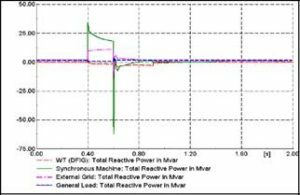 Behavior of grid connected inverter system with LVRT capability. 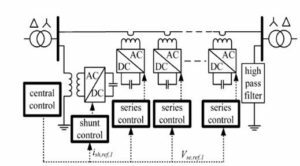 Based on the existing grid requirements, this paper discussed the potential of a two-stage three-phase grid-connected PV system operating in grid fault condition. 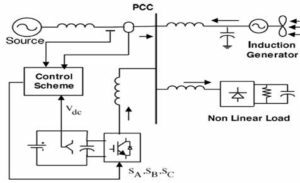 The power control method proposed in this paper is effective when the system is under grid fault operation mode. 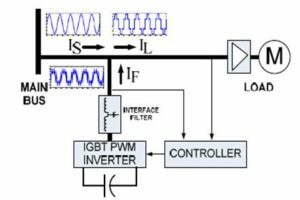 It can be concluded that the future three-phase grid-connected PV systems are ready to be more active and more “smart” in the regulation of power grid. 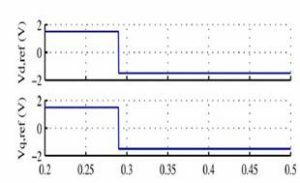 Non-linear robust control technique using IPSO control is implemented for MPPT of 100.7 kW PV system connected to the grid. 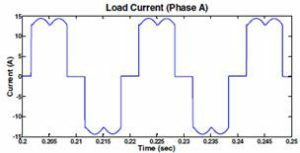 Complete control of both active and reactive powers is implemented using Matlab/Simulink with complete simulation under severe faults of grid voltage. 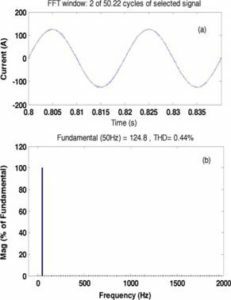 The results show superior behavior of the IPSO; it has a faster dynamic response and better steady-state performance than the traditional algorithm; IC method, thus improving the efficiency of the photovoltaic power generation system. 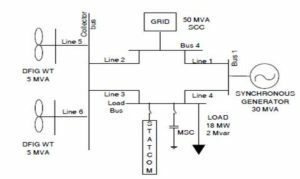 The use of full bridge single phase inverter with a high frequency transformer which combines the advantages of 60 Hz technology and transformer- less inverter technology, achieved MPPT requirements with IPSO. 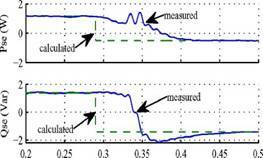 Also, this system overcomes the drawbacks of DC-chopper parameters design. 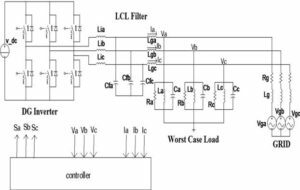 Two loops of control for the utility-connected 3LNPC2 are implemented which improve the performance of inverter and reduces the harmonics in output voltage. 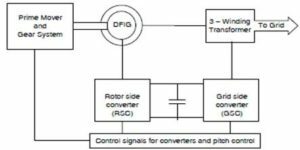 This control, also, increases the power injected to the grid and consequently increases the total efficiency of the system. 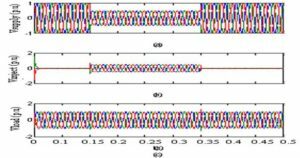 The results show that the DC chopper circuit is capable of reducing the DC-link voltage below threshold values during the fault and protect it from failure or damage. The IPSO is capable of tracking MPP with LVRT capability included. 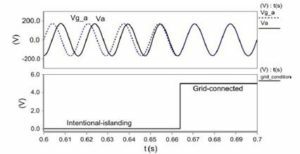 An anti-wind up conditioned strategy is used in order to improve the quality on the DC link voltage during and after the grid fault. 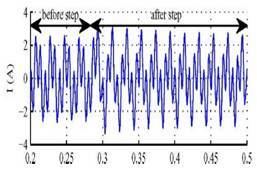 It succeeds to stop accumulation of the integral part during fault, which helps system to follow up pre-faults values rapidly after clearing the fault. 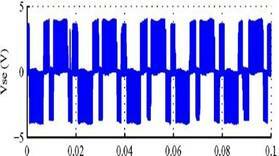 Finally, simulated results have demonstrated the feasibility of the IPSO algorithm and capability of MPPT in grid-connected PV systems with LVRT enhancement. Ramdan B.A. Koad, Ahmed. 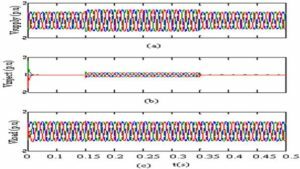 F. Zobaa, Comparison between the conventional methods and PSO based MPPT algorithm for photovoltaic systems, Int. J. Electr. Electron. Sci. Eng. 8 (2014) 619e624. 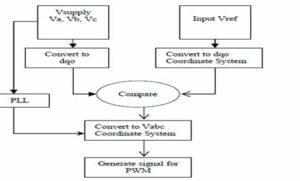 Ali Reza Reisi, Mohammad Hassan Moradi, Shahriar Jamas, Classification and comparison of maximum power point tracking techniques for photovoltaic system: a review, Renew. Sustain. Energy Rev. 19 (2013) 433e443. N.H. Saad, A.A. Sattar, A.M. Mansour, Artificial neural controller for maximum power point tracking of photovoltaic system, in: MEPCON’2006 Conference, II, El-MINIA, Egypt, 2006, pp. 562e567. 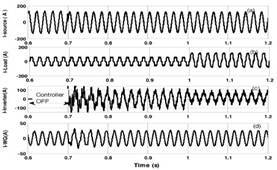 Raal Mandour I. Elamvazuthi, Optimization of maximum power point tracking (MPPT) of photovoltaic system using artificial intelligence (AI) algorithms, J. Emerg. Trends Comput. 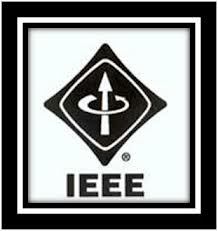 Information Sci. 4 (2013) 662e669. Saeedeh Ahmadi, Shirzad Abdi, Maximum power point tracking of photovoltaic systems using PSO algorithm under partially shaded conditions, in: The 2nd Cired Regional Conference, Tehran, Iran, 14, 2014, pp. 1e7.